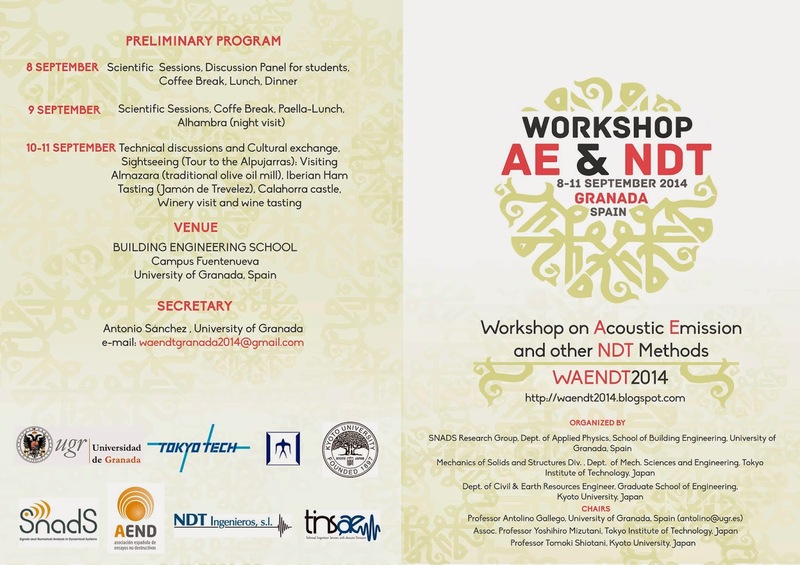 This workshop will cover research and applications of the science and technology of Acoustic Emission (AE) and other Non Destructive Testing methods like (Ultrasounds, Eddy Currents, Vibrations, etc. ), applied to all kind of materials (advanced composites, metals, concrete, rocks, wood, etc. ), including experimental, theoretical and numerical techniques for data acquisition and data analysis. Works using several NDT methods at the same time in the context of multi-functional materials are welcome. 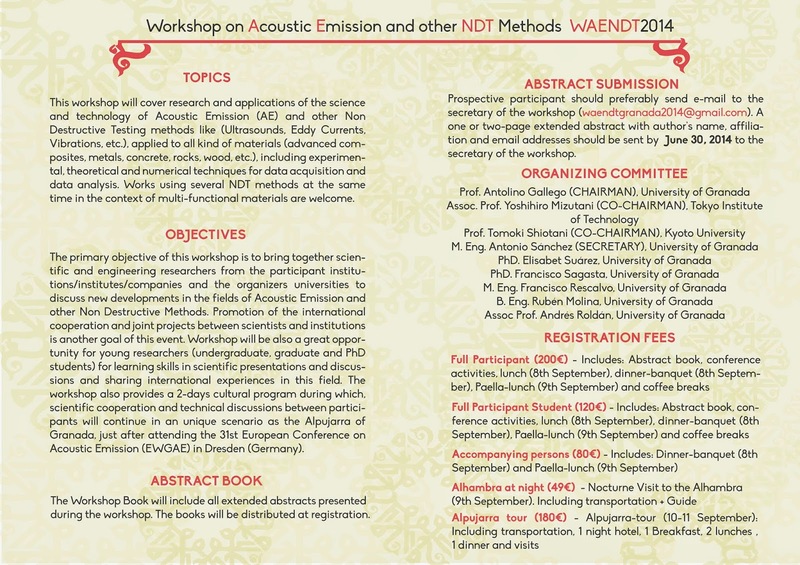 The primary objective of this workshop is to bring together scientific and engineering researchers from the participant institutions/institutes/companies and the organizers universities to discuss new developments in the fields of Acoustic Emission and other Non Destructive Methods. Promotion of the international cooperation and joint projects between scientists and institutions is another goal of this event. Workshop will be also a great opportunity for young researchers (undergraduate, graduate and PhD students) for learning skills in scientific presentations and discussions and sharing international experiences in this field. The workshop also provides a 2-days optional social program during which, scientific cooperation between participants will continue in an unique scenario as the Alpujarra of Granada, just after attending the 31st European Conference on Acoustic Emission (EWGAE) in Dresden (Germany).